In this episode we review KONG SKULL ISLAND!!!! This review may contain spoilers from the film. If you have not seen the film yet, it is recommended that you skip past it. Otherwise, proceed at your own peril!! We’ve seen the teaser trailer before. Well now we have a full length trailer. Lots more action and story as well a a throwback to the old bracelets and headband. Looks like Netflix has another hit on their hands. In this episode, Anthony returns from his long hiatus and he brings the entire show back with him!! AJ discusses a little bit of Comic Con happenings while they both cover some recent news. Then, Anthony reviews Batman Vs. Superman The Extended Edition while AJ reviews the Tome Of Bill series by Rick Gualtieri. Finally, hear about all of the summer movies AJ has seen as he gives a brief review of ALL of them. When “The Chronicles of Riddick” came to a close, Vin Diesels Riddick was seen being crowned king of the Necromongers, the army of religious zealots taking over the galaxy. It seems a far cry from the upcoming “Riddick” which puts the character back on a desolate planet fighting off mercenaries and the monstrous indigenous lifeforms. So how does he get there? While the movie is expected to explain quite a bit of it, Universal has released an online motion comic prequel which also fills in some of the gap between the films including what happened to Karl Urbans Vaako. via “Riddick” Gap Filled By Motion Comic | News | Dark Horizons. April 22, 2013 – Los Angeles, CA – This May, BOOM! 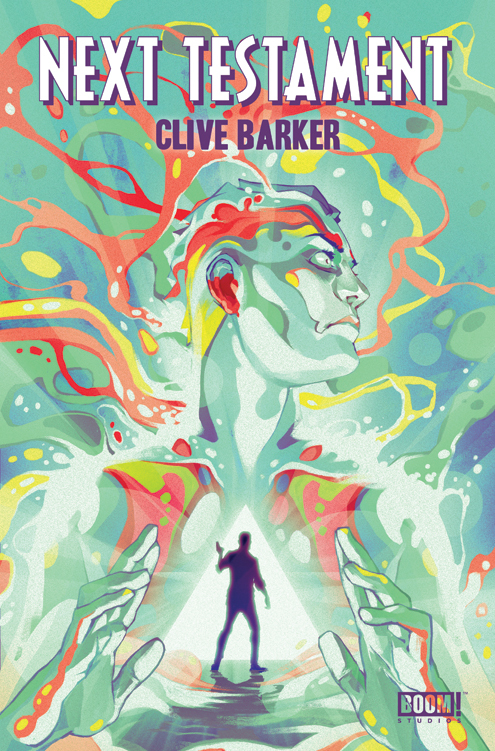 Studios is honored to be the home of the first original comic series created and written by Clive Barker himself – CLIVE BARKER’S NEXT TESTAMENT. With interior art by Haemi Jang (HELLRAISER: THE ROAD BELOW) and covers by illustrator Goni Montes, the twelve issue comic event is a bold new exploration of religious themes as only Barker can deliver. Following the release of DC Comics and Rocksteady Studios “Batman: Arkham City” video game in 2010, it seemed like it was only a matter of time before the studio planned to revisit the franchise, teasing “Batman: Arkham World” in an animated acceptance speech at the Spike TV Video Game Awards in 2011 and rumors of the studio developing a prequel game featuring the Justice League. As the name implies, “Batman: Arkham Origins” takes place before “Batman: Arkham Asylum” when eight of the worlds greatest assassins come to Gotham City on Christmas Eve to kill Batman. The change in studio isnt the only major shift from the past two “Arkham” installments — its already been revealed that Paul Dini, who wrote the story for both “Arkham” games, didnt plan to come back for a third time. Game Informer also reports that Warner Bros. Games Montreal will simultaneously release a handheld version of the game called “Batman: Arkham Origins Blackgate” for 3DS and PlayStation Vita. Check out Game Informers coverage video below. via “Batman: Arkham Origins” Game Hits In October – Comic Book Resources. Forbidden Tales is an horror anthology book featuring the works of John Narcomey, Jimmy Purcell, and Forbidden Panel’s own Daniel Whitfield. Follow the Witch and she takes you on a journey through 3 different stories sure to awake the horror enthusiast in everyone. 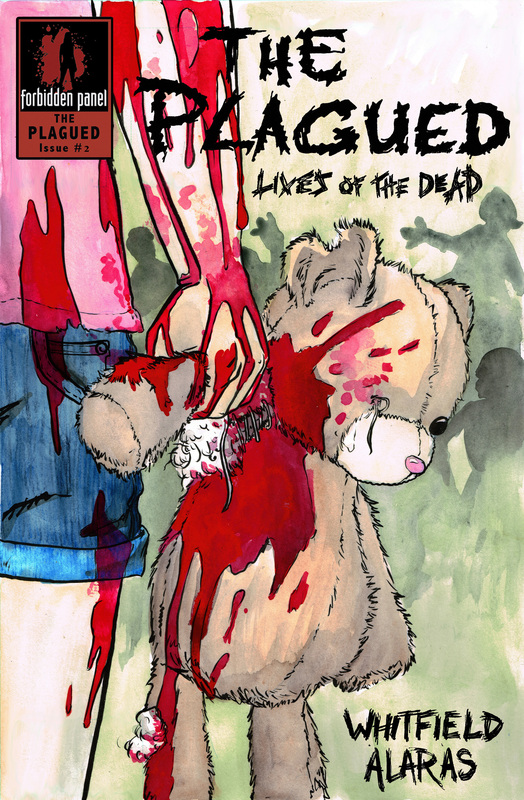 With a special preview page by Justin White. This book will be made available on Friday March 29th at Wondercon. If you swing by the Forbidden Panel booth and purchase this book, you will get a special $2.00 coupon for digital purchases made at the Forbidden Panel store! Forbidden Tales is now available on our store for $5.00. We have both a CBR and PDF version. And for a limited time if you enter the code B1EQ4TOVGMZX for $2 off!! !